Home Health News Hope of fresh treatment for seven cancers after single antibody is found to shrink tumours. Hope of fresh treatment for seven cancers after single antibody is found to shrink tumours. A drug that helps the immune system to break down cancerous tumours has been developed. It has worked on breast, bowel, prostate, ovarian, brain, bladder and liver cancers, while previous studies show it can also be used to fight some blood cancers. If given early, the drug could even be a cure, researchers say. The antibody has so far been tested only on mice, but researchers hope to give it to people within two years. Its effectiveness centres on a protein called CD47, which is found on the surface of cancer cells in high quantities. The protein prevents them from being engulfed and eaten by immune cells called macrophages. The drug masks the so-called ‘don’t-eat-me signal’, allowing the immune system to attack the cancer – a goal of many researchers for decades. Tests on cells in the lab and on mice showed it to work on a broad range of cancers and with minimal side-effects. Given to mice with human tumours, the antibody made them shrink and, in some cases, disappear. The journal Proceedings of the National Academy of Sciences adds that the drug ‘dramatically’ increased survival rates. 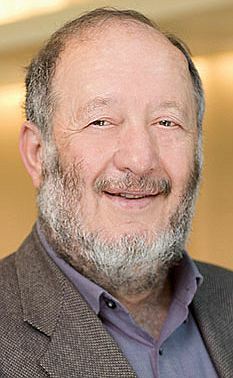 Researcher Dr Irving Weissman, from the Stanford University School of Medicine in California, said: ‘Blocking this “don’t-eat-me” signal inhibits the growth in mice of nearly every human cancer we tested, with minimal toxicity. Dr Weissman said that when used on small tumours, the drug is ‘potentially curative’ – but stressed that for some of the mice it did not work at all. He added that there was now enough evidence to ‘move forward quickly but cautiously’ into human trials. However, the need for extensive proof that the drug is safe as well as effective means that its widespread use is about a decade away. Professor Philip Ashton-Rickardt, an expert in immunology funded by Cancer Research UK, said the research could lead to new treatments. ‘Particularly exciting is the possibility that this approach could be used to tackle cancer cells that are resistant to traditional treatments such as chemotherapy and radiotherapy,’ he said.